How do you change the DNA of an entrenched organization? How do you achieve deep, durable change without having to go through a crisis? How do you craft an authentic and participative approach to change? And as organizations confront ever more complex problems, how do you move from crowdsourcing to “crowdsolving?" 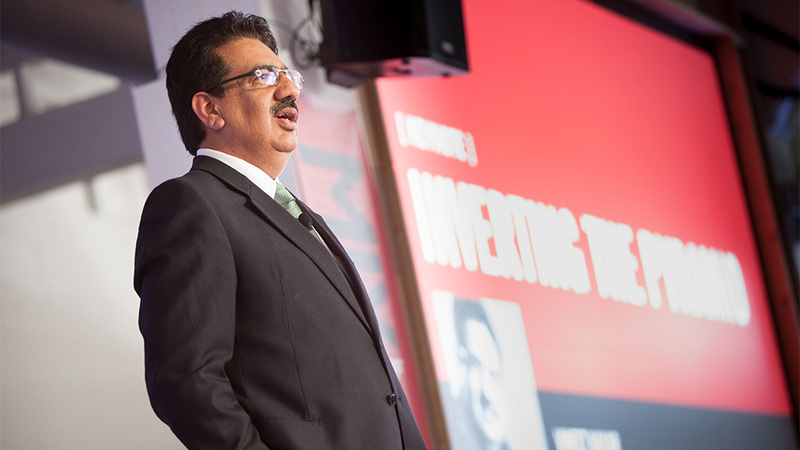 Vineet Nayar is the rare leader (as CEO of the $19 billion global IT services company, HCL Technologies) who has not only asked, but successfully answered these questions. Join us at the 2014 Mashup to hear Vineet's riveting, bracingly honest, and radically practical keynote on the journey to re-imagine and reinvent the nature of power, leadership, and value creation inside a vast organization. Driven by the belief that the traditional management model—built to serve control-obsessed managers rather than to support customer-obsessed employees—was broken, Vineet launched a series of experiments in promoting transparency, opening up the realm of strategy to all employees, and reversing accountability so managers served frontline employees. During his tenure, HCLT grew from 30,000 to 90,000 employees and from $750 million to $5 billion in revenues. In this keynote from the inaugural MIX Mashup, Vineet unpacks his adventures in inverting the pyramid and distributing the work of leadership. It’s a master class in reinventing a large, traditional organization and a short course in how to launch a management experiment.